The Uwell Crown 3 replacement coils are specifically designed with a Parallel Coil build to allow airflow directly into its center. Between that and the large wicking ports, these replacement coils give you plenty of smooth vapor with a true to taste flavor! 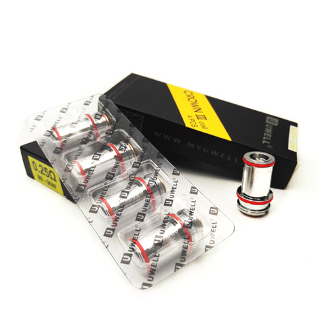 The Uwell Crown 3 replacement coils come in 0.25 ohm which is rated at 80-90watts and 0.5 ohm for a rating of 70-80watts.